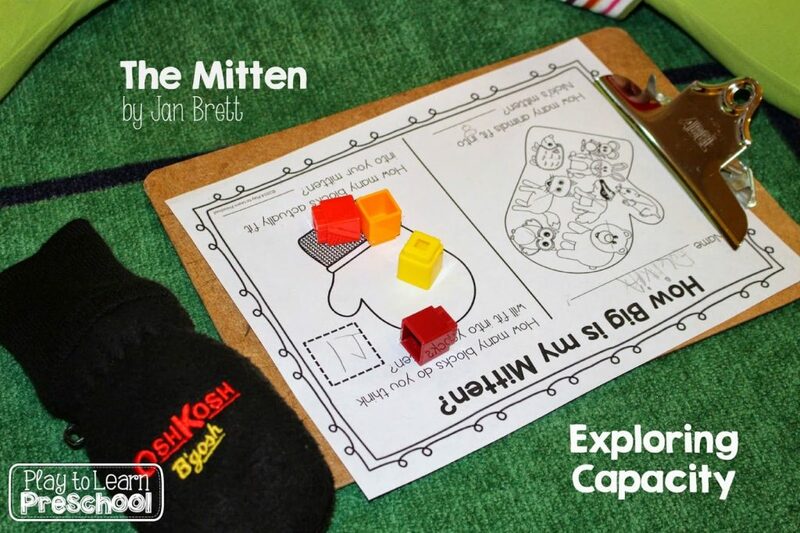 Reading The Mitten by Jan Brett seems to be a right of passage in the early childhood classroom, doesn’t it? We love this story too, of course, and read it last week to begin our Winter Unit. Reading aloud to young children is a fine art. 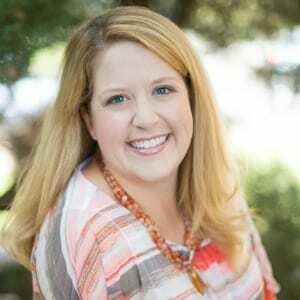 Teachers can plan things before, during and after reading to keep the kiddos engaged and thinking. 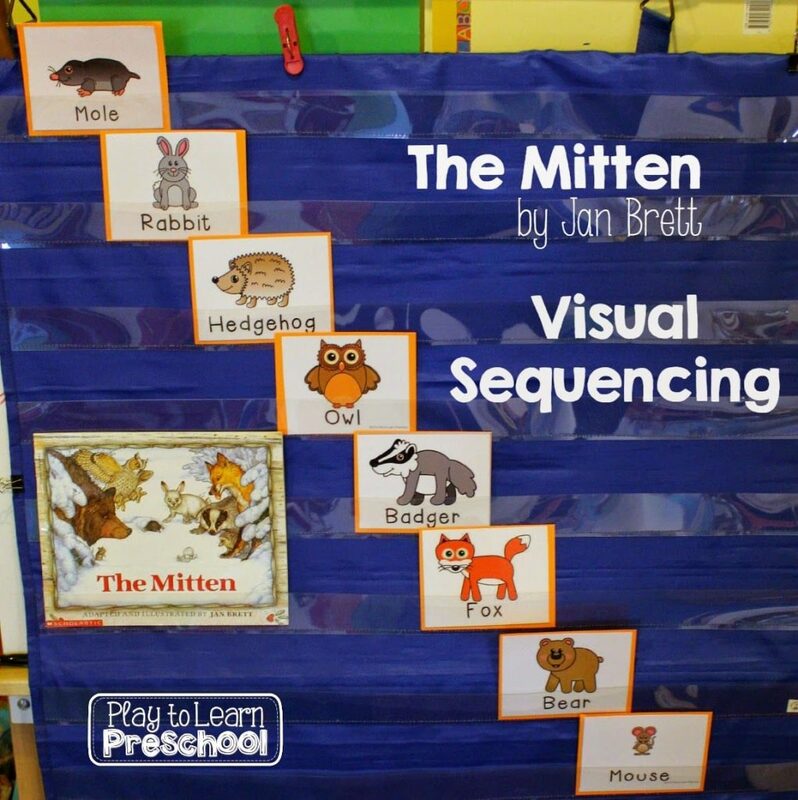 For this reading of The Mitten, we used picture cards for each of the 8 animals to practice sequencing. The day after we read the story, we explored capacity. We counted how many animals fit into Nicki’s white mitten. Then, each student chose a mitten from our dress up box. We estimated how many unifix cubes would fit inside. Next it was time to fill the mittens with cubes and count to check our predictions. 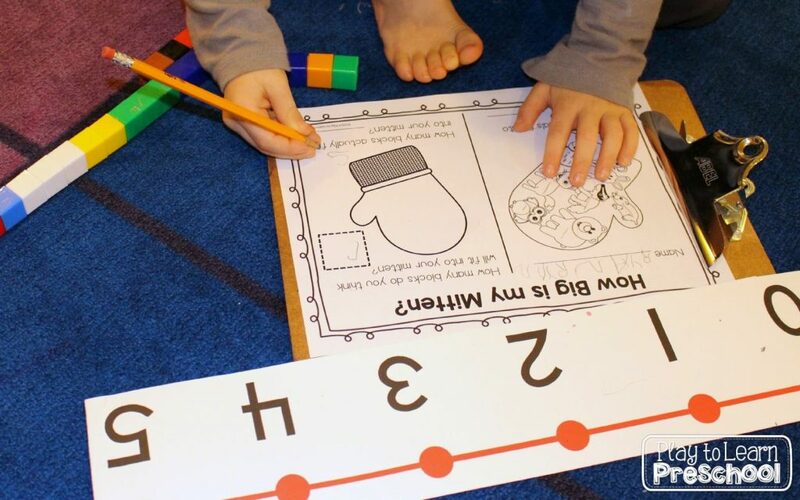 Writing numbers is still a challenge for many of our pre-k students, so I pulled out this big number line to help. We learned that our mittens can hold a lot of cubes! 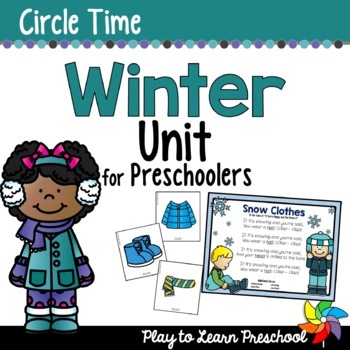 Both of these activities (printable picture cards for sequencing, and the “How Big is my Mitten?”) are included in this Winter – Centers and Circle Time Unit. Enjoy playing and learning with your children this winter! I bought all four of your seasons sets plus the nutrition and valentine sets. I love them all. They are so helpful. Thank you so much Pennie! I hope that they are a great addition to your classroom.